As a small business, I love supporting, recognizing, and connecting with other female entrepreneurs out there in the community. And as a mompreneur myself, I know how hard they work for themselves, their families, and their clients. They are each vital influencers of people all around you. I’d like to give some recognition to a few ladies who work hard every day, in the hopes of making a connection to someone that needs their services. We appreciate you more than you know, and we’re so proud to feature your business. We will be highlighting one business per month for the entire year of 2019! Dara is the most organized person that I know! Dara founded Orderly Method because she was a busy multitasking mom of four young kids. Her amazing, simple solutions to home organization will fit anyone’s style. This fellow Mom knows her organization stuff! She’s turned her passion about keeping things orderly into a business to help others. I am always in awe of her amazing, transformational Before and After examples on her Instagram page! The name of my company is Orderly Method and we offer Professional Organizing Services. Here’s a little info about how things work...I come to your space and do a consultation where I learn your needs, see your space and style, and understand you goals. I then write up a detailed proposal that includes cost of the actual organization work, as well as products that I recommend for the project. We’ll come up with a mutually agreed upon date and then I handle everything from that point (ordering products, installation, removing trash/recycling, bringing items to donation centers, etc) - total turn key/white glove process. I've been in all types of homes - apartments, older, newer, city, suburban, etc, and all types of spaces - basements, kitchens, offices, playrooms, garages, storage rooms, bedrooms, living rooms, etc. You name it, I've seen it and organized it! 2. What made you choose this type of business, and/or how did you get your idea or concept for the business? My kids were 5, almost 3.5, 2.5 and almost 1. I was working a full time corporate job making 6 figures. When I was working, I was thinking of all of the things I was missing with my kids. When I was with my kids, I was constantly on my phone trying to keep up. I was stressed and I wasn’t happy. Something needed to change. My husband and I started discussing our options. Do I stop working and become a full time stay-at-home mom? If so, do we keep our live in nanny, my right hand, the person who loves my kids, cares for them and helps keep our house standing? How could I stop working all together? I will lose my mind taking care of 4 little kids by myself almost every day and night of the week. When all of my kids are in school than what will I do? There were so many questions, so many unknowns and so many unsure feelings. So we began brainstorming. I didn’t want to stop working all together, but I did need more flexibility in my life. I wanted to control my schedule, be more available and present with my kids, but still keep my identity. And then it hit us…. For many years, friends have asked how I keep things so organized with such a hectic family life (4 kids in less than 4.5 years is no joke). I love organizing…and I thrive and function best in an organized environment. Could this really be a business? I started researching and found there was a whole world of professional organizers out there. I wrote a business plan, came up with a company name, registered as an LLC, and setup my website. I took a few courses to become a professional organizer while working my full time job and trying to keep my family life running as smoothly as possible. I had all of the basics down, but would people actually pay me? And could I really quit my job not knowing? I decided to try and start my business and have some flow of income before quitting my job. Nothing like adding more stress and work to my already overflowing cup! But it was the only way I felt comfortable leaving my corporate job. I booked my first client and realized that this was it, this was what I wanted to do….and people would pay me! Shortly after, I quit my corporate job and started as a professional organizer full time - well part time hours but this was now my only gig outside of being a wife and a mom. It was liberating and felt so good to be doing something that I really loved while helping others bring peace and order into their homes. I did it - I turned my passion for organizing into a business! 3. If you had one piece of advice to someone just starting out, what would it be? Take that leap of faith! I strongly feel that I took a giant leap of faith when starting my business - there were so many unknowns, it was stressful, but in the end it was definitely the right decision. My kids! Everything I do is for them - they are the driving force in my life! I want to show them that you can do what you love and still spend time with who you love. 5. What is your favorite thing about running your own business? My favorite thing about running my business is being able to make my own schedule. A huge part of me doing my own thing was so that I could be around and present for my kids. I wanted to be able to go on school field trips, walk them to the bus, see their smiling faces as they walk in the door from school, and not feel guilty about any of it. I now make my work schedule around their schedule and it's been an amazing thing for our family! 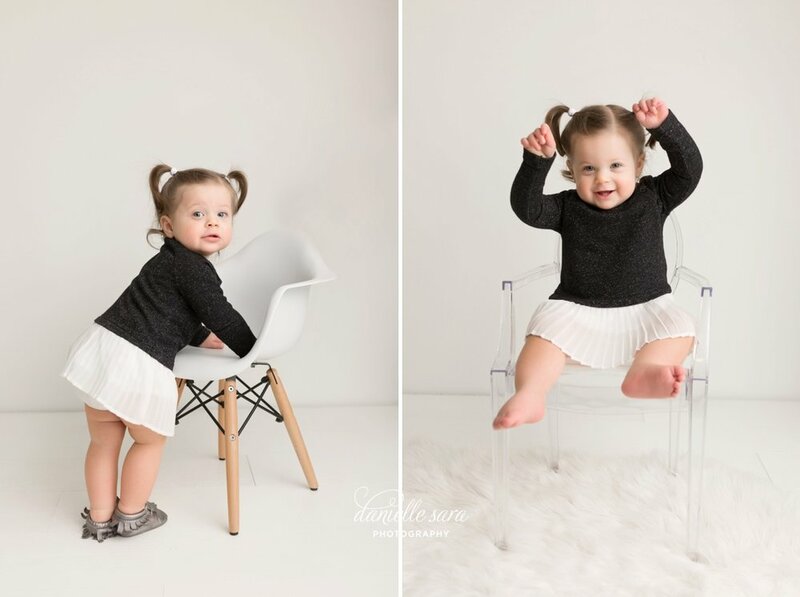 What a fun first birthday celebration for this sweet and active little girl. First she posed for pictures with her little stuffed unicorn friend and showed off her modeling skills. She was the cutest! Then she had so much fun smashing her hands in her birthday cake, all while clapping and dancing. 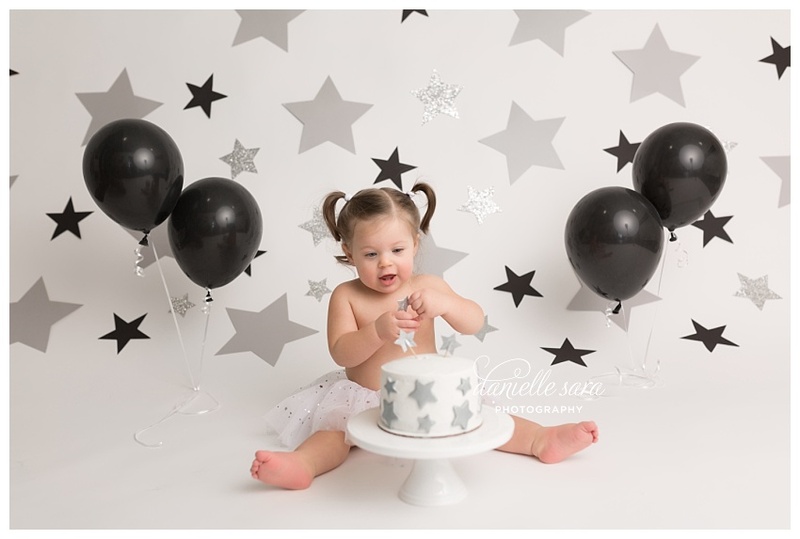 We decorated our set with modern silver and black stars, but of course she was the star of the show! My business has evolved over the years but one thing that has held steady is my love for being a cake smash photographer! Participating in the first birthday fun for so many of my clients is amazing and I’m honored to be such a special part of these important milestone moments. 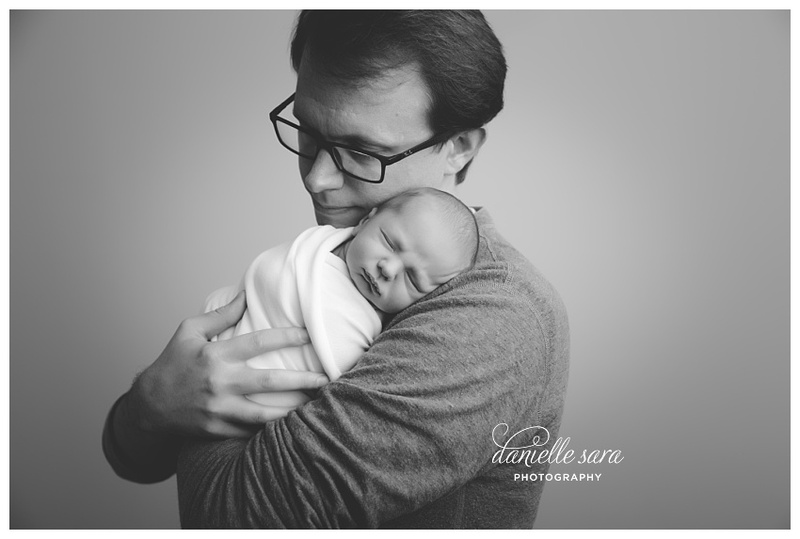 It is with great joy that I get to meet such sweet bundles from the very first days of their lives up to their very first birthday and beyond. I love fun and festive decorated cake smash sessions that really celebrate the excitement. For this one, we wanted to do something simple, but not boring. Mom wanted it to be modern to match her nursery. 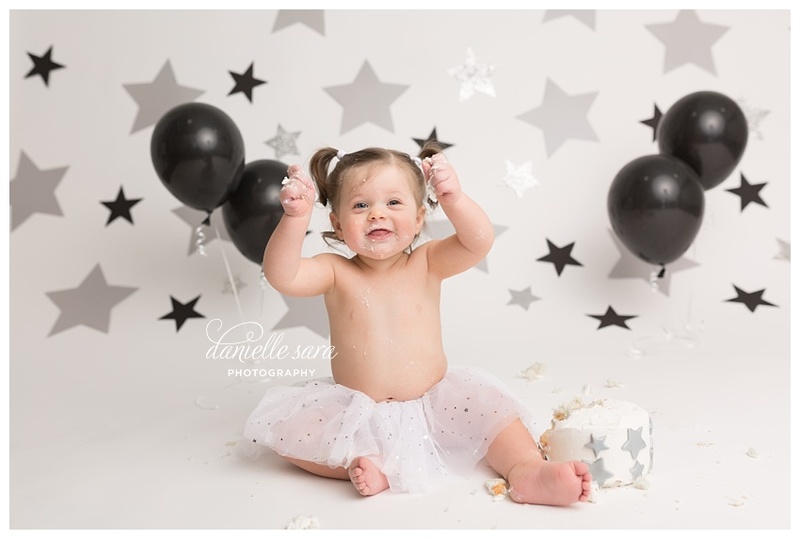 The adorable tutu and perfectly coordinated cake with silver stars tied the whole look together. And of course those pig-tails are amazing! Helloooooo cuteness! I love how it all came together. I feel like I say this about every session (but it’s true!) 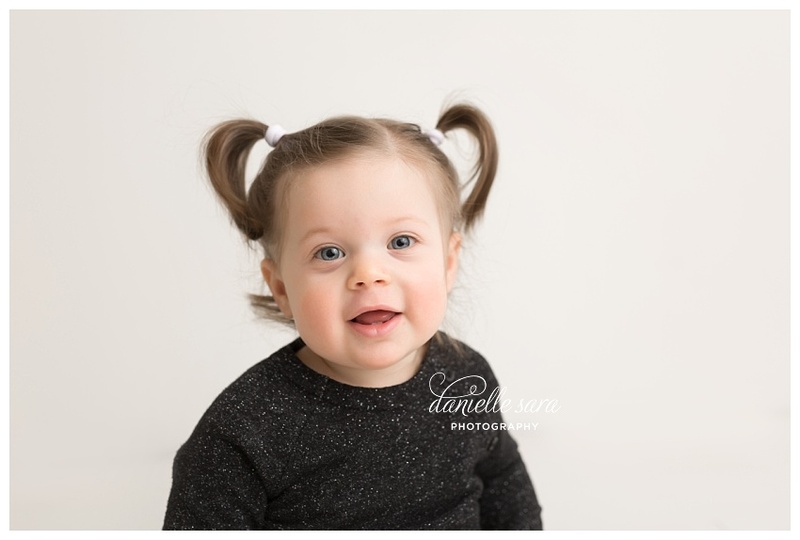 … I had so much fun photographing this sweet and happy girl! It was a joy to watch her clapping, dancing, and having a care-free time. It was a blast to capture another fantastic cake smash portrait session for this family! Enjoy! If you are interested in a cake smash first birthday session in Maryland for your soon-to-be one year old baby, please get in touch! I would love to hear from you! Erin of Pixie Lane sells the cutest girls (and boys) clothing around town! It’s made in L.A., sizes 12 months to 12 years, and is super stylish and comfortable! 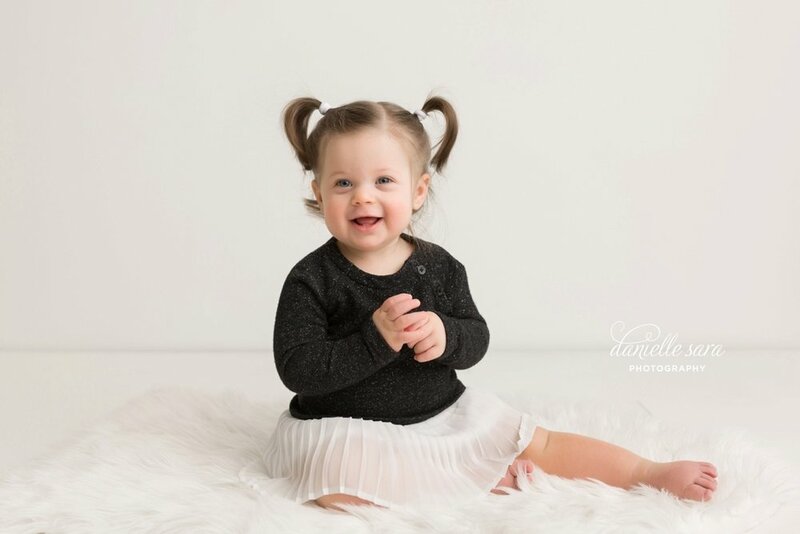 I’ve photographed many little girls looking beautiful and feeling special in their Pixie Lane clothing, including my own daughter who loves her Pixie leggings. Erin has generously offered 10% off to my blog readers (not valid at shows or events) on their first purchase of Pixie Lane. Read on to learn more about PixieLane Erin! My company is PixieLane Erin. I sell unique and trendy kids clothing (printed leggings, dresses, hoodies and SO MUCH MORE) for girls made in LA. Sizes 12 months to 12 years! Boys and adults available too. Stylish, comfortable & fun! There are two things that make my business unique. The first is that you can’t find this clothing in any stores and second shopping with me is a personal shopping experience. We can set up an appointment for you to come over and shop at my house at a convenient time for you. If daytime doesn’t work for you, no worries, I am available at night and on weekends too. Some customers like to bring their children with them to try on and pick out what they like! Once we know your child’s size, I can text you pictures and you can shop via texting on your phone! My goal is to make it fun for your kids and easy for you! 3. What motivates you to get out of bed in the morning? My two adorable not so little girls!! 4. What is your favorite thing about running your own business? Flexibility! I love how I can work while my kids are around. 5. Do you have a special offer for blog readers that you’d like to share?